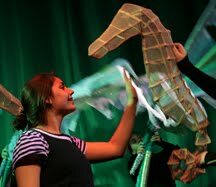 At 16, Weston Long is our most experienced puppeteer. Weston has been passionately creating and performing with puppets for 11 years! You can see Weston on the stage as the tapping crabs, the seahorse, and many other of our star animals. In NYC he'll also be accompanying a new character you'll meet right before the show. Weston Long is a student at Waterford High School. 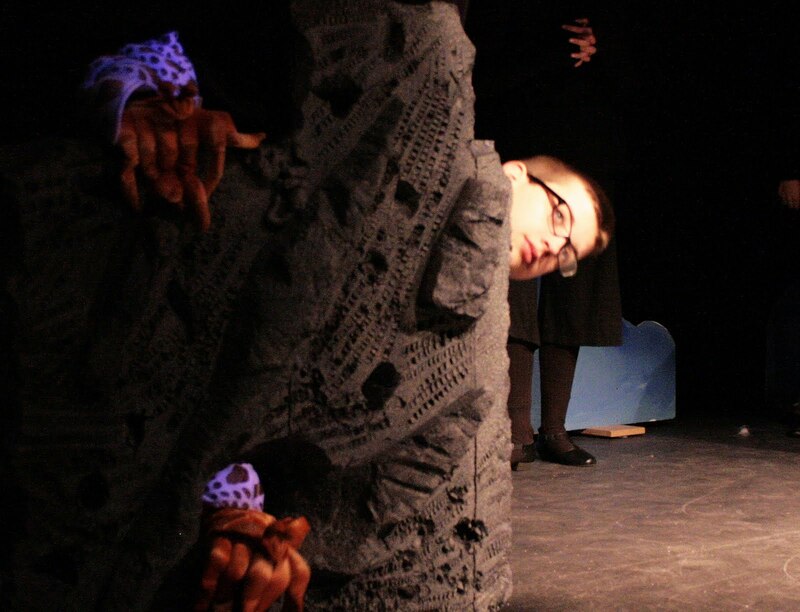 He has been acting in community theater and school productions since age 5, but he is ecstatic to perform in a show where he can showcase his love and talent for puppetry as well. He has been "puppeting" since age 5 as well and wishes to pursue it and theater as a career as an adult. He has been personally mentored in the craft by Caroll Spinney (Big Bird on Sesame Street) and John Tartaglia (Avenue Q and ImaginOcean). Weston actively participates in his high school drama department WATERFORDrama with his most recent roles including Joe in The Pajama Game and Various Male Characters in A Piece of My Heart. He would like to thank Linda, Karl, Tashia, and the cast for making this another experience to remember! Enjoy the show! "I actually want to go into puppetry as a career, and this is a different style than I'm used to. We went to the Aquarium and projected the image of the animals through the puppet. I hadn't been exposed to that before. That will help bring the sea to life on the stage, and also through dance. Doing puppets you also have to use a lot of arm strength, which I don't think people realize. People usually think of puppets as things like the Muppets or things with exaggerated features. People who come will be surprised at how life like these are. I think knowing puppetry is a great skill."